Weta Workshop's GKR: Heavy Hitters hit the market and you managed to get hold of NZ's most sought after commodity since sheep wool? You even secured the Stretch Goals? Congrats! We wish you all the luck in the world in obliterating your opponents. As you know, even killer robots need to rest when the battle is over. Therefore, we at Feldherr created a foam set to accomodate your darlings' needs. 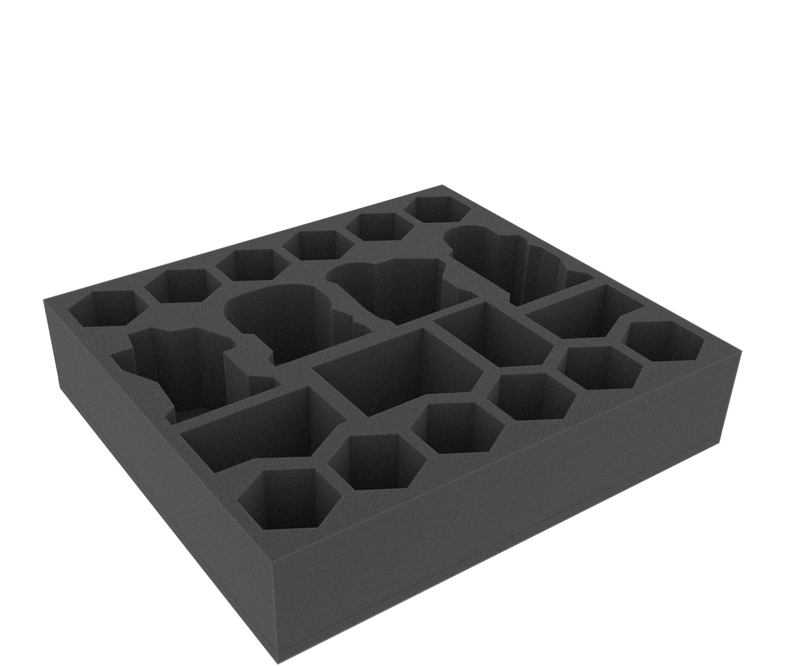 The Set consists of 3 custom cut foam trays. 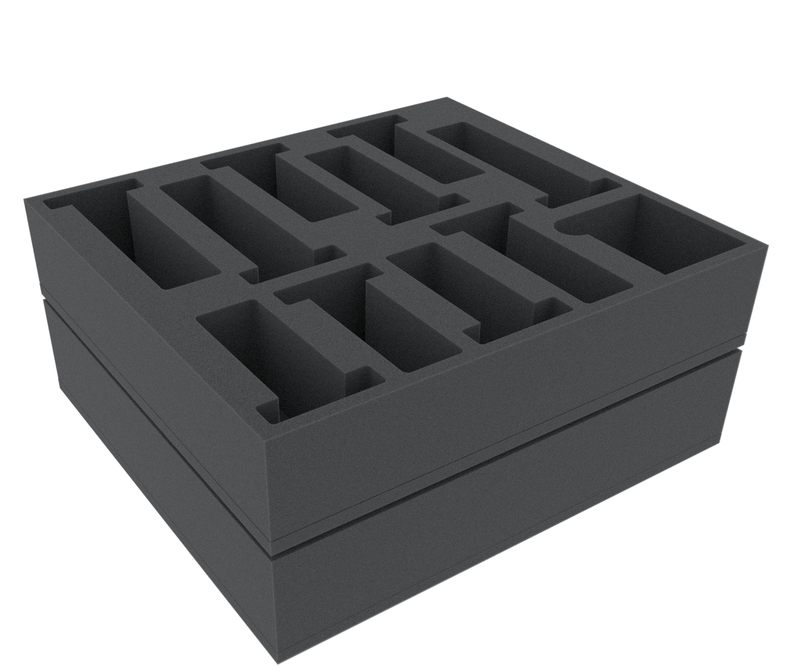 2 of the trays will hold the game components of the core box. 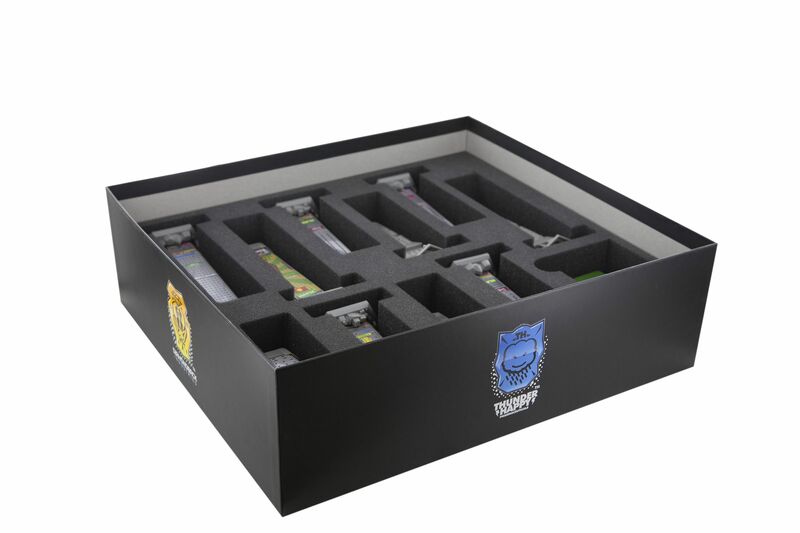 1 tray is reserved for Kickstarter Stretch Goal and Extra Buy content. 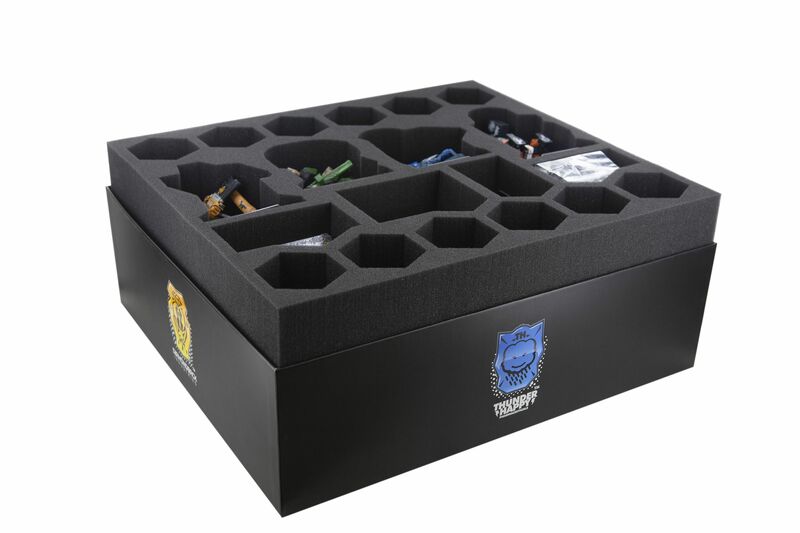 The two core box trays fit into the Original Board Game box. 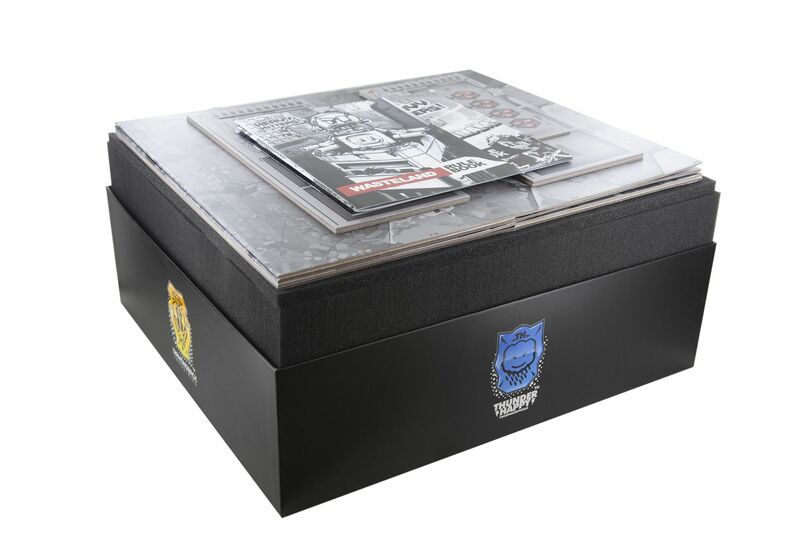 Due to the dimensions, these foams slightly extend over the edge of the box. 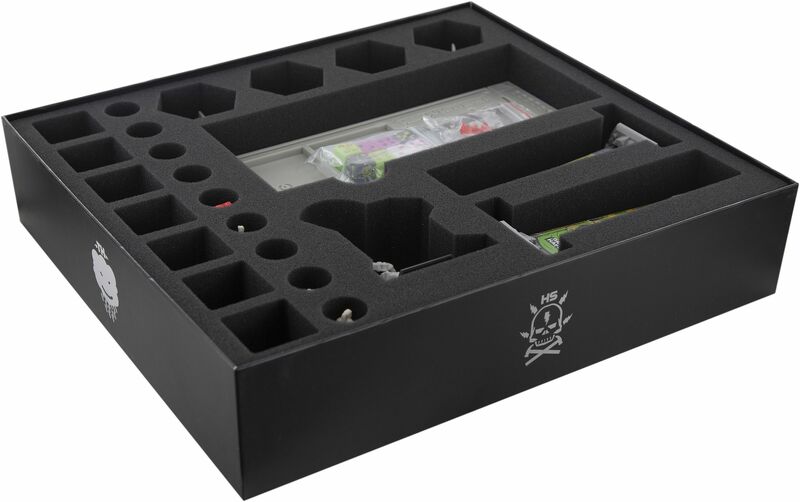 The first core box tray has 20 compartments. 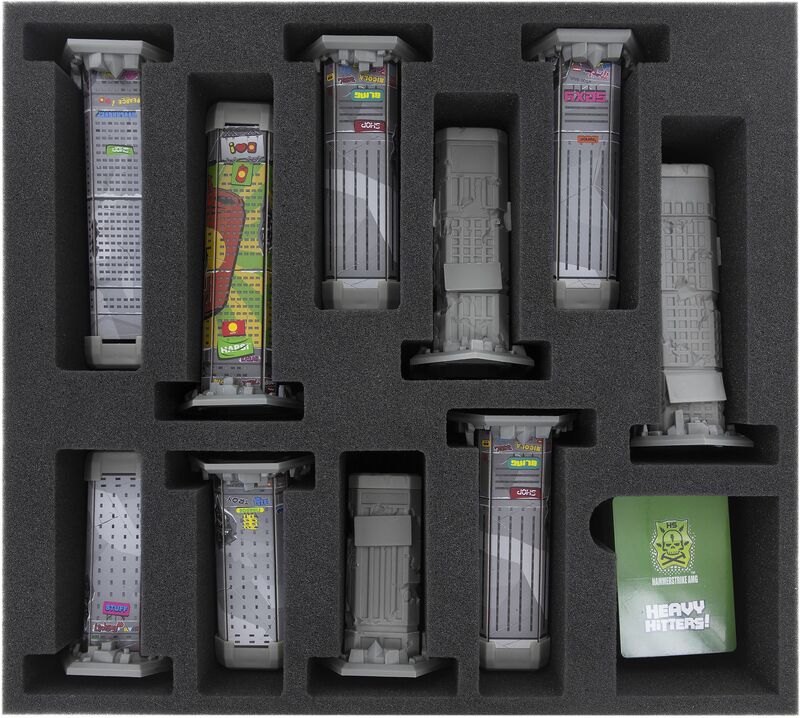 4 of them are reserved for the large Heavy Hitter miniatures. 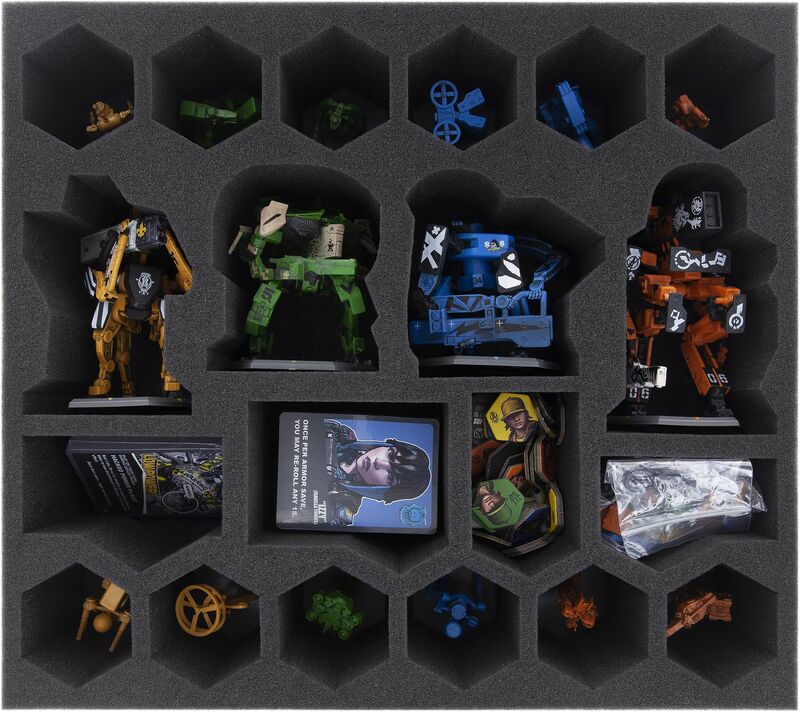 Additional 12 compartments will hold the Support Units of the 4 factions. 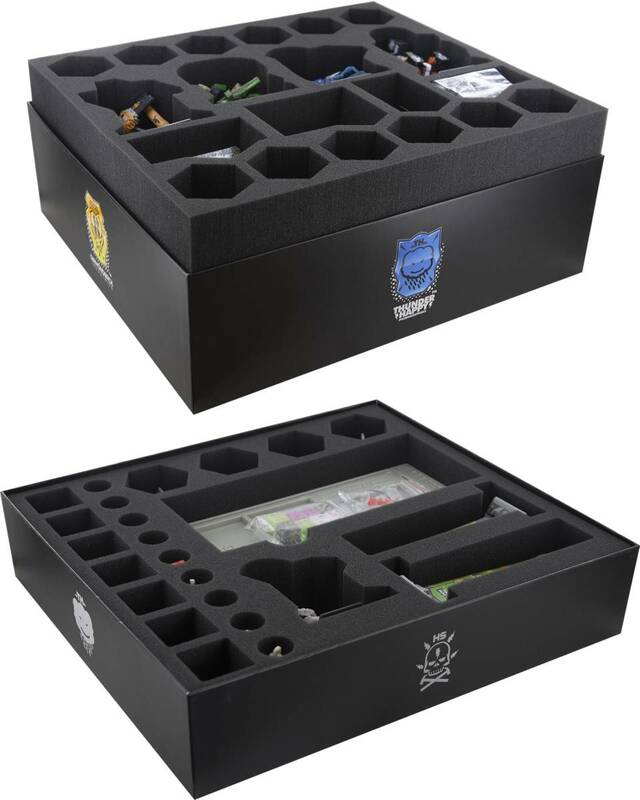 Moreover, 4 further, large compartments provide space for accessories like playing cards, dice and tokens. 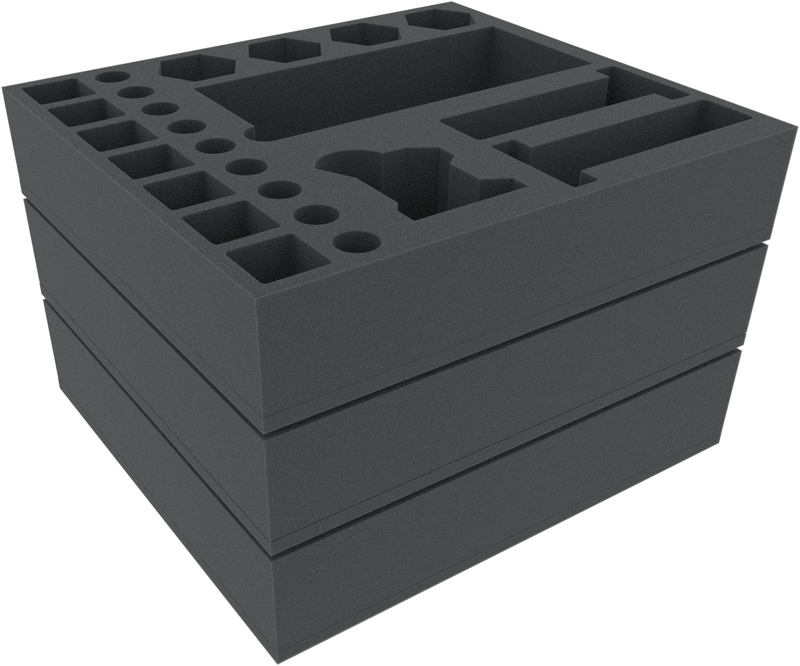 The second core box tray has 11 compartments and will hold 10 buildings. These can be either cardboard buildings or plastic buildings of the Urban Wasteland Expansion. Another compartment can be filled with game components like playing cards. 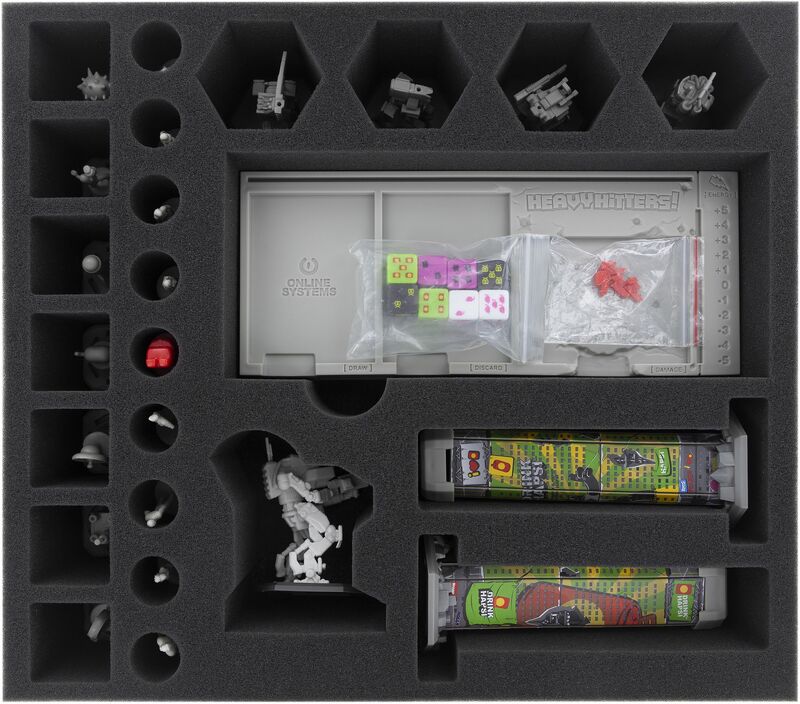 In order to protect the miniatures from banging against the lids of the boxes, the set comes with 2 foam toppers.